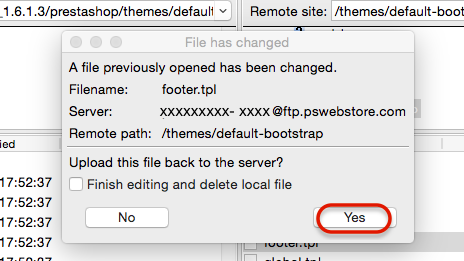 Step 1: On your FTP client, open the footer.tpl file under prestashop/themes/default-bootstrap. 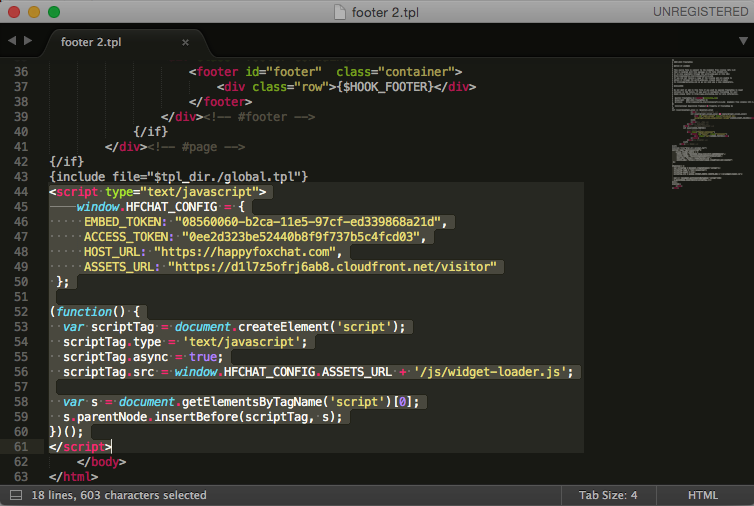 Step 2: Paste the HappyFox Chat installation code above the </body> tag in the file. Step 3: Now “Save” the file and upload it to your FTP client. If the FTP client prompts you to choose an action as the file already exists, choose the "Overwrite" option and click "OK". You are all set! 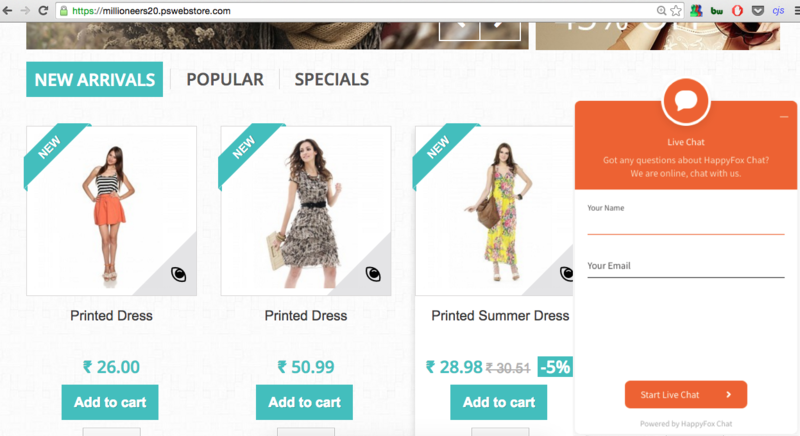 Now HappyFox Chat widget will be live on your PrestaShop site.